Palladium Books is releasing paper miniatures for the Palladium Fantasy RPG. You can download a free sample here. They're not half bad, if you ask me. In fact, I like them a lot. It's definitely worth downloading the free gladiators. I can't figure out, though, why I would want to purchase the actual product. There are approximately a billion competing fantasy miniatures on the market already, and any of them could be used for a Palladium Fantasy campaign. The Palladium Fantasy RPG is generic enough that miniatures from just about any other line of fantasy miniatures could be used instead. The only thing I can think of that might be difficult to emulate with another line would be the abundance of wolfen... but I'm sure there's a suitable replacement for them out there somewhere. In other words, while this is an interesting product, it isn't one that the world needs. Will Rifts paper miniatures be following soon? I understand that there's an argument for focusing on fantasy because fantasy RPGs have a reputation for selling better than science fiction, but it seems like Rifts is the cash cow for Palladium, so why take the fantasy route and have to compete with an already flooded market? 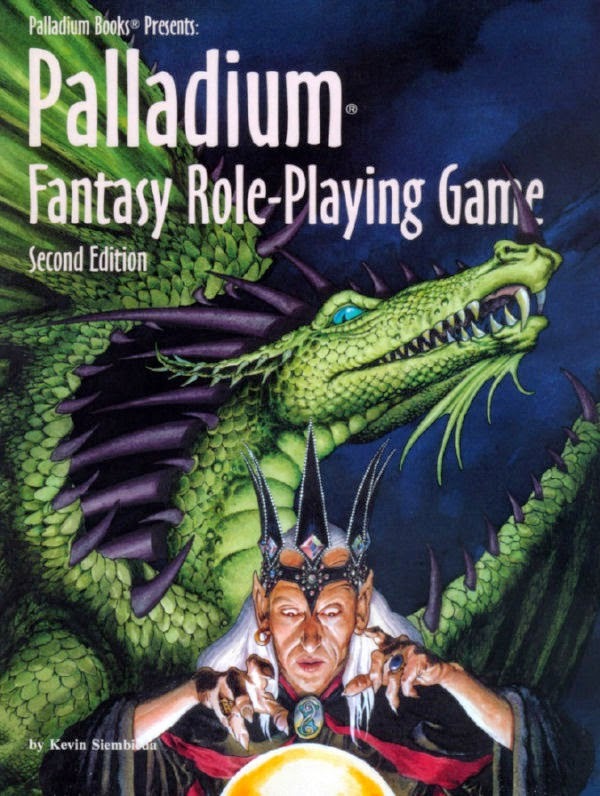 Hoping people who play other RPGs will use Palladium Fantasy miniatures in their D&D campaigns? I just don't get it. Palladium Fantasy paper miniatures are an interesting idea... but let's see some dead boys, a glitter boy, and maybe some Splugorth slave races. Then I'll sink some money into Palladium paper miniatures.